One of the many 100000 DWT OBO's delivered by both Gotaverken and Oresund, the BOUKADOURA started her life as Sevonia Team. 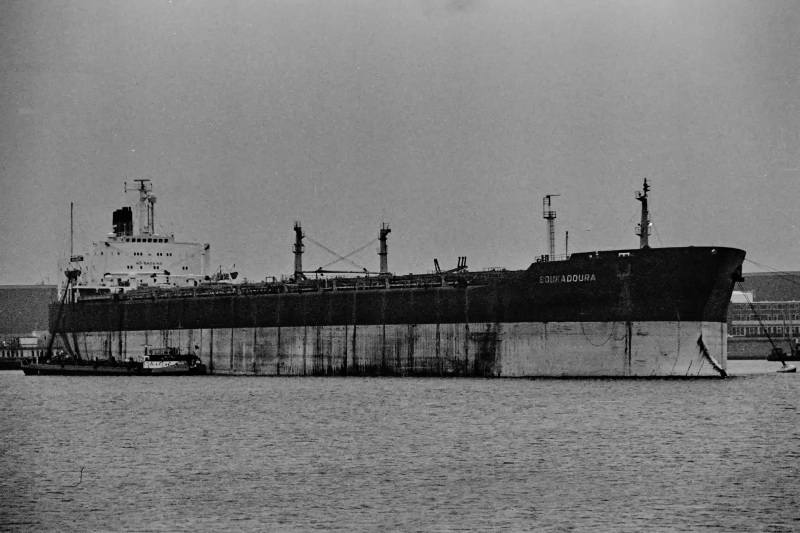 In 1981 she was renamed Navios Conqueror (charter?). Shown here while bunkering in the Europoort, mid eighties.